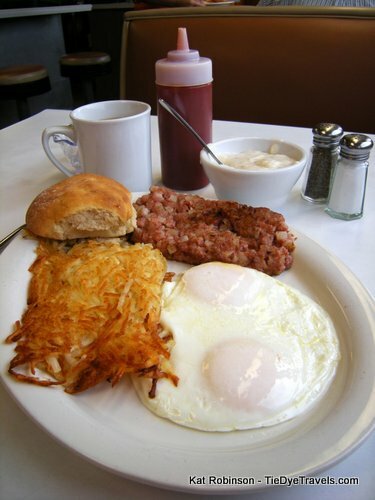 Let's Go Back to The Old South in Russellville. 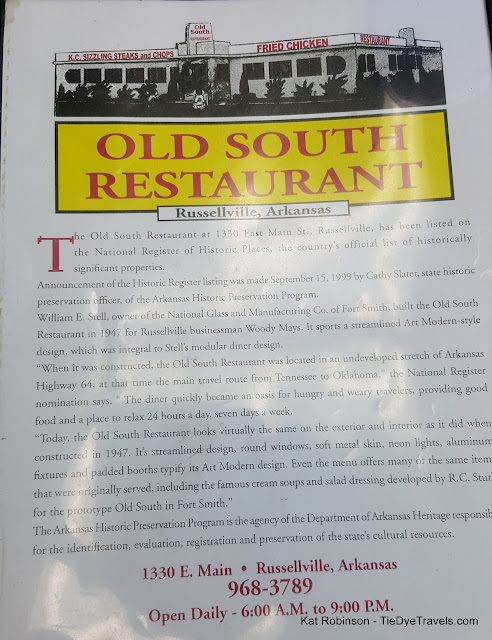 The last of a great restaurant chain that began in 1947, Russellville's venerable Old South Restaurant still offers a steady, sturdy diner experience today. Time quells a lot of memories – but not all of them. I can quite clearly remember my first week in Russellville as a student at Arkansas Tech University. First time I lived away from home. I learned a lot of things very quickly. 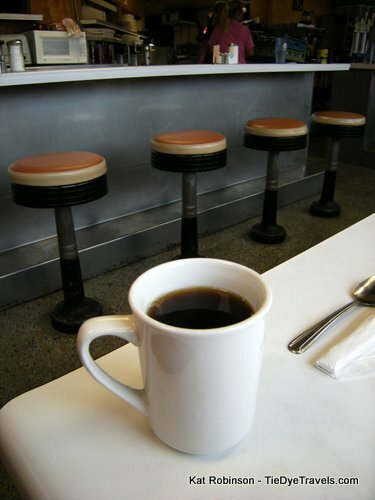 I learned that at night you could see stars from the center of campus; that there was little to no insulation on the outside of my room at Roush Hall; that driving up Mount Nebo with its little tight hairpin turns was a lot of fun… and that you really only had two options for sitting down and eating overnight in town – the Waffle House or The Old South. I wasn't the only student who quickly found out that the latter was the better choice. While you could only really hang out at the Awful Waffle as long as you had your plate in front of your face, at The Old South you could sit up all night, nursing a cup of coffee, if you bought just one item off the menu. 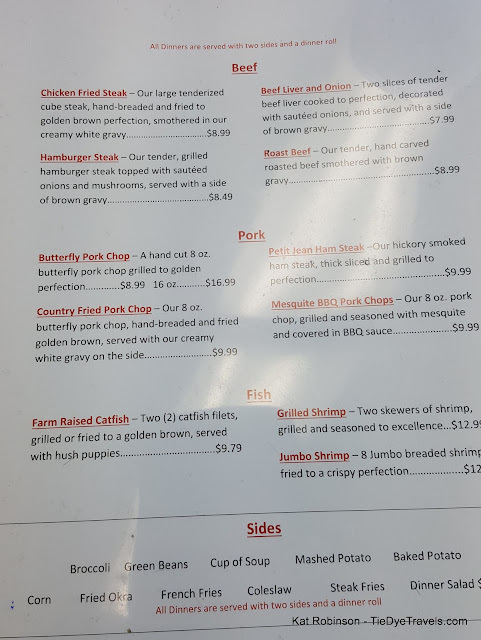 That item, in my case, was usually the fried honeybun – a Hostess honeybun removed from its package and heated in a skillet with a lump of margarine, dumped on a plate and presented with a fork. There were many nights I spent in the back room of the restaurant, usually in one of the round booths with one or more companions from school, poring over the notes for whatever test we were taking – or, as it became more common in my case, scribbling down yet another piece of poetry or prose for Mrs. Tyson’s Composition class or a slightly scandalous piece of fiction for B.C. Hall. Those distant early 90s days were packed from one end to another, and like many college students sleep just wasn't as important as it came to be later on. What most of us failed to grasp, though, was just how important the restaurant where we huddled happened to be to history. See, The Old South was about 45 years old about the time I was looking at 20. In my late teens I didn't really comprehend the value of the sleek Art Deco styling, the time capsule that the place had become for the last remnants of the great Route 64… maybe not of cultural importance to the level of Route 66 but certainly a byway of significance in the way this part of the country unfolded in the middle part of the 20th century. The restaurant was built in 1947, a couple of years after the end of the second World War. As much as today’s residents of Russellville would like to believe that it’s the one and only – it wasn't alone – and it wasn't the first. 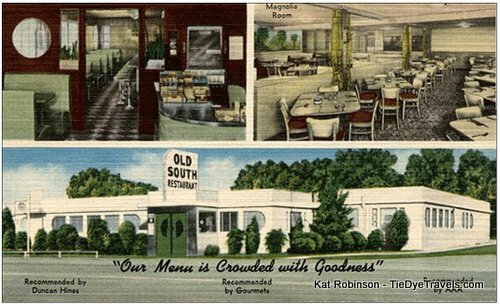 That was The Old South in Fort Smith… opened around 1945 at 711 Towson Avenue (now a parking lot for Sparks Regional Medical Center). Confused? Here's what it all amounts to. The Old South wasn't a family start-up like other restaurants I've talked about. 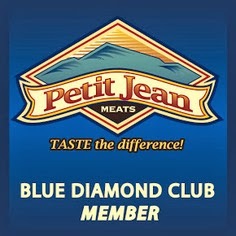 It was a concept restaurant – a franchise, at that, created as a turnkey operation. The original man with the plan was William E. Stell, an Oklahoma-born businessman who created and founded the National Glass and Manufacturing Company in Fort Smith back in 1929. The company created fixtures, furniture and metalwork for restaurants and department stores. 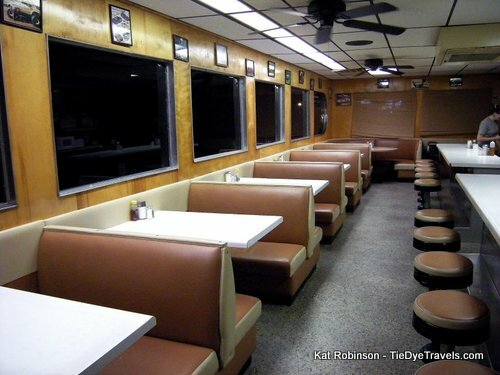 It wasn't a far jump for Stell to develop a modular diner system to take advantage of the new automobile culture developing. Unlike the Streamliner design (which was a contained prefab unit), Stell’s idea was for a modular build-on-site system that could be adapted to the location. He employed the help of architect Glenn Pendergrass (he designed the El Chico restaurants around Dallas) to design the concept he envisioned. The first, that Fort Smith store, was an experiment. Stell brought in a guy from New York City to form a menu – that man was none other than Schwab’s R. C. Strub. 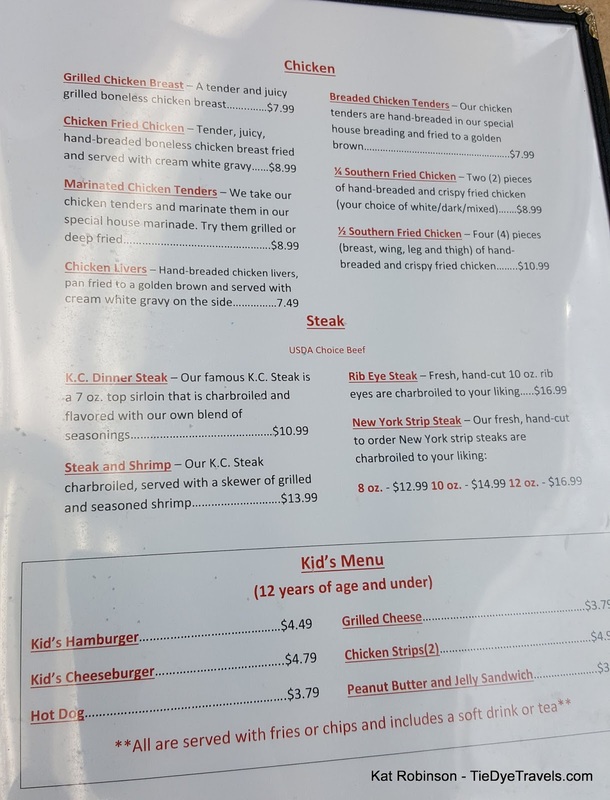 The style of a Kansas City-style steakhouse menu was adapted for use in what would be a series of roadside diners. The idea was to create a restaurant quickly. And it did catch on. 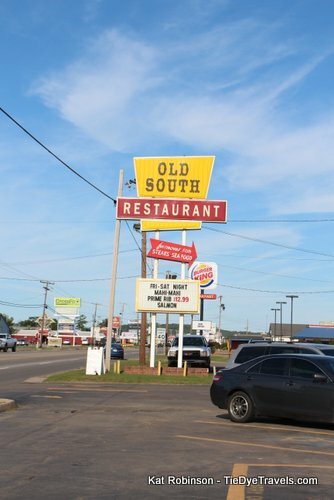 No one knows for certain how many The Old South restaurants were built – but the last “other” restaurant (in Camden, SC) apparently closed in 2005. The original location was demolished in the 1970s. 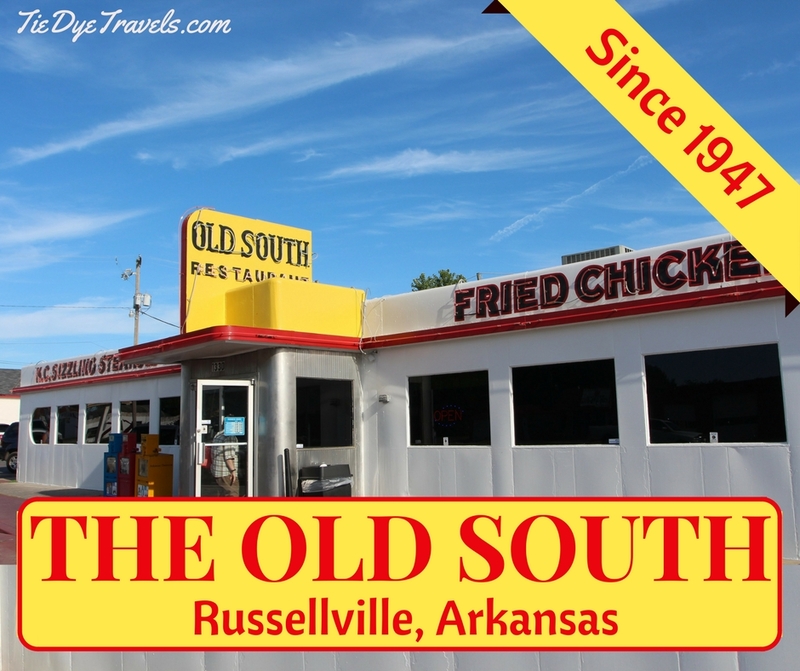 The Russellville location, though, started quick and has endured for the ages. The last week of March, 1947, Stell delivered on a contract to Woody Mays (owner of Woody’s Classic Inn and Coffee Shop; the motel still operates today, though the coffee shop is long gone) and had the location built in just six days. 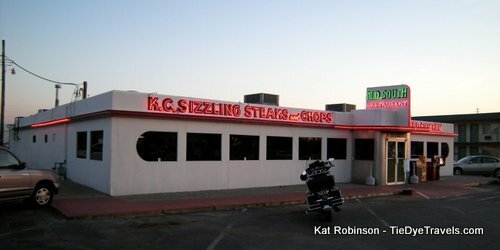 It opened on April 4th, 1947 on the outskirts of town. Now remember, this was long before Interstate 40 ran coast to coast. While folks tend to recall Route 66 as the best way from Chicago to the California coastline, it wasn't the only way to get out there. 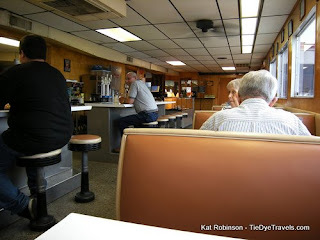 Route 64 (which actually intersects with old Route 66 in Tulsa, OK) was the best way to get from the east coast in North Carolina out as far as Arizona, and took drivers on the most direct east-west route across Arkansas. 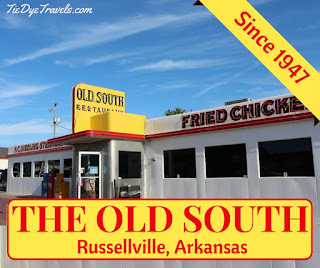 Because of this, folks of all ilk traveled the highway, and when they came into Russellville they stopped at The Old South for a bite. Didn't matter who they were, they stopped. That includes the likes of Ernest Tubb and B. B. King and even, yes, Elvis Presley. And… yes, even an aspiring young writer out of Little Rock who at the time thought there was no money in it and was going to be a band director. (side note: I came to Russellville specifically to be part of the Arkansas Tech Band of Distinction. Check out this marching band performance from 1993). I’m rambling. 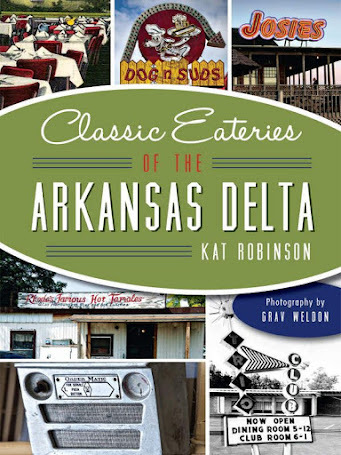 You can read more about the history over on the Arkansas Historic Preservation Program website. when I was pulling an all-nighter. Other Tech students made fun of the place, with rather crude names for the eatery. You might think it was the sort of place you wouldn't revisit later on. But it was. It didn't take me long after graduation and a whirlwind few months that sat me down in Jonesboro at my first TV job in 1995 for me to realize I missed the place. I missed Russellville as a whole. When we’d go back (my ex-husband’s father lived there) I’d wistfully gawk as we drove on by. He wasn't a fan. Me? It’d take me time to make a real return – and by that point it was May of 2008 and I was pregnant and craving fried chicken… and it was as it always was, crisply and heavily battered, greasy and served with that eponymous salad that wasn't much more than lettuce and carrot shreds. Comfort food. Since then I've dropped in from time to time, usually grabbing breakfast. 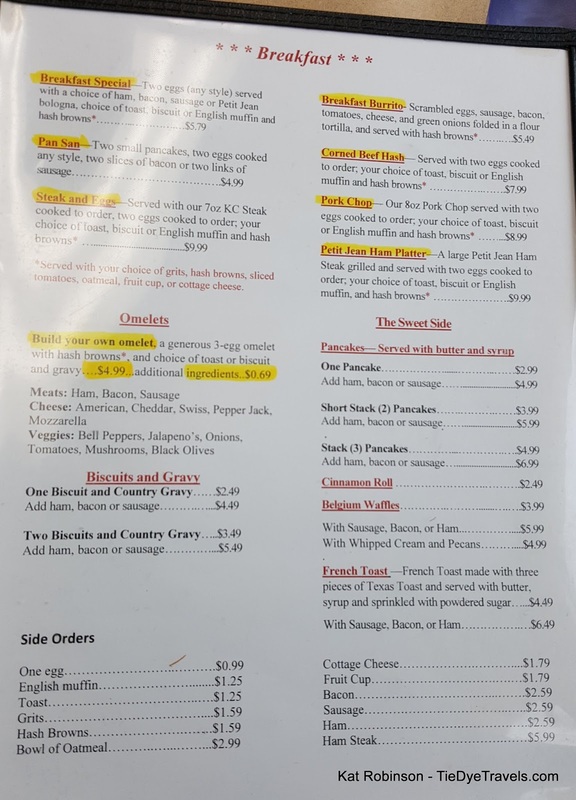 And it’s a breakfast I have always appreciated – pretty much from when I could afford something more than the fried honeybun. 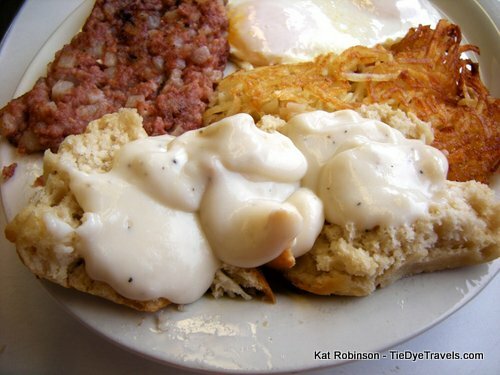 The corned beef from a can, the hashbrowns, eggs fried on a griddle top enhanced by well over 60 years of grease… yeah, enough to give you a heart attack if you ate it day after day but food for the soul when you’re on the road and you don’t know for certain how long it’ll be before you get back home. Consider it a homecoming, if you will – a place to land for a lonely freelancer out trying to get a scoop on a story to sell to whatever magazine would throw a little cash my way. 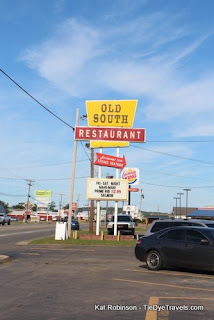 The Old South ceased being a 24 hour operation sometime in that interim when I was growing up, living life and getting my head on straight. It couldn't compete with IHOP or the new Waffle House or the late night coffeehouses with their posh lighting and even posher coffee menus. At The Old South, there’s coffee, regular or decaf, and you can get cream and sugar if you want it but that’s about it. It’s the sort of thing that apparently doesn't really appeal to today’s college crowd (though I understand the hipsters really dig that sort of scene). The place nearly ceased to exist altogether this past April, shut down for non-payment of taxes. But Russellville? Well, folks around town have ties to this place, this old section of Americana. And they banded together and held a city-wide yard sale and paid the taxes. And it’s open again. again. After all, I've never taken a photo of the ghastly thing. One more note. Next time I go back I will order the fried pickles and photograph them. 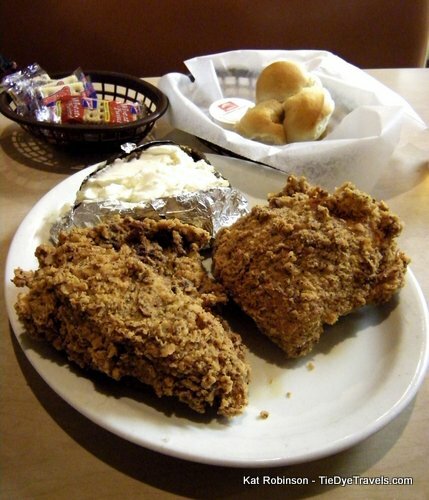 The Old South actually holds Austin "Fatman" Burnell's original fried pickle recipe. 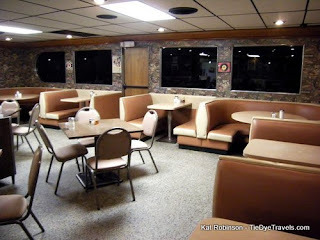 Burnell created the Arkansas original back in the 1950s at the Duchess Drive-In in nearby Atkins. UPDATE: I promised I'd do it, and I did - a couple of times. Behold, the fried pickles from The Old South. 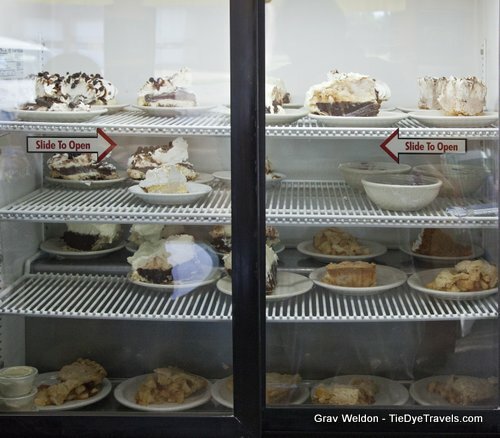 I dropped in twice recently to enjoy the delicacy and see how the restaurant is doing. New life has recently been infused into the place, and the improvements are noticeable. 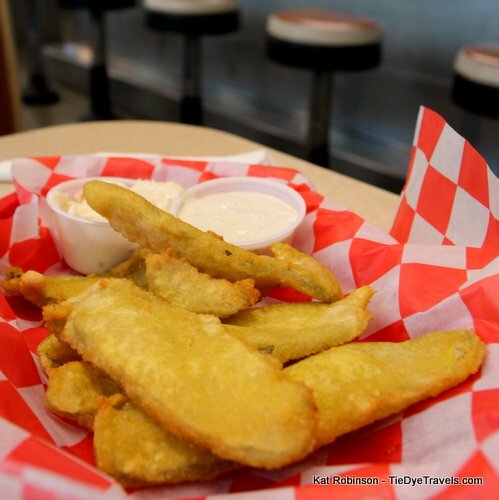 The fried pickles are hand-cut lengthwise slices of whole dill pickles, battered and served in a manner similar but not exactly like Bernell Austin's recipe. 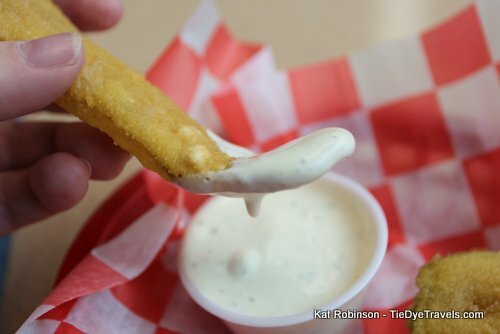 You can get them with ranch dressing, or some of the Old South dressing - a real treat. Here's what the front looks like today. Note the new yellow curtains. Russellville is taking pride once again in The Old South. 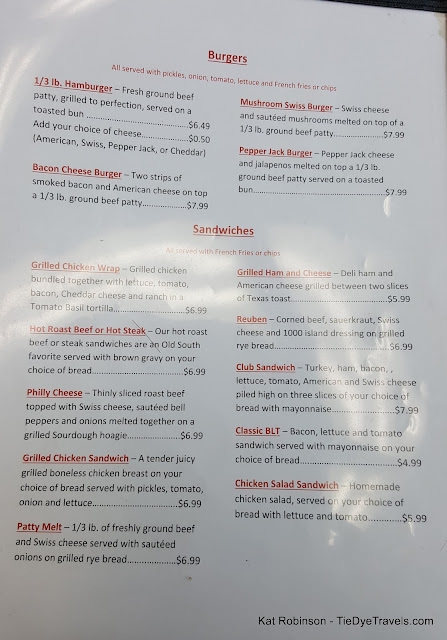 Though the restaurant has surrendered its 24-hour a day schedule, it's still offering amazing diner favorites on a regular basis. In fact, we're making plans to return one Friday night for prime rib. 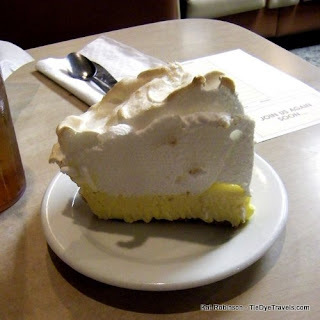 One thing The Old South does have now is possum pie - and a good version at that. 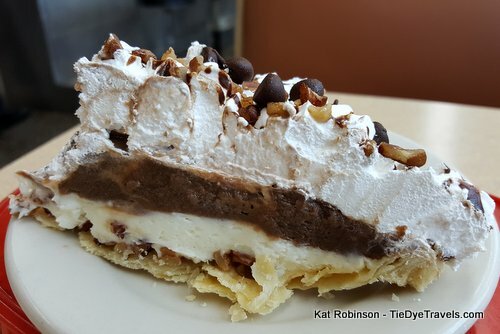 On one of the two visits I came alone, so no one had to watch me dive into a slice of this prime Arkansas delicacy. 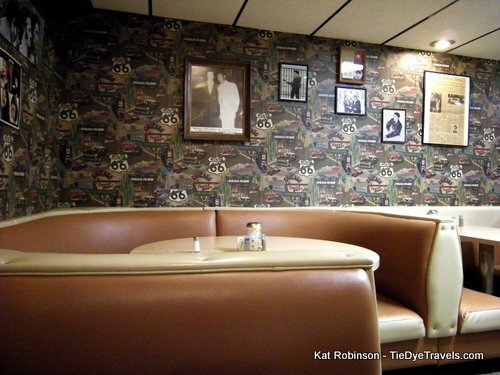 The decor may have a little more yellow in it that it had before, but otherwise the entire restaurant has been scrubbed top to bottom and it looks fresh and new. 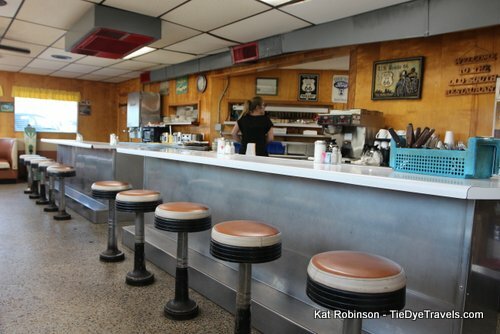 For an eatery celebrating its 70th year, it looks incredible. Sadly, my opportunity to shoot the fried honey bun has passed. Instead, there's now a cinnamon roll on the menu. I lament the passing, but restaurants must evolve. Be sure to drop in next time you're in Russellville. And check out the Facebook page before you go. Um, all right, Jacob -- but they don't serve duck at The Old South. Or offer a buffet. I think this comment probably belonged elsewhere. 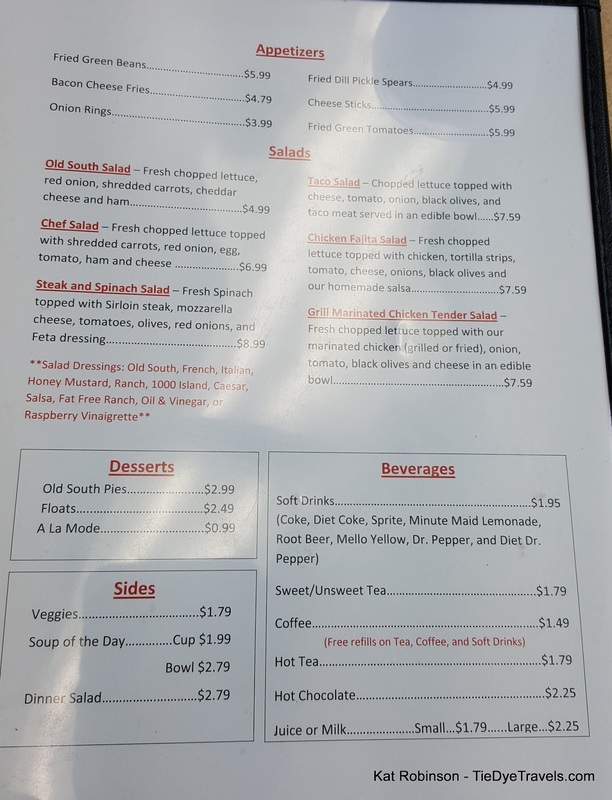 I was always a fan of Old South until they closed for the tax issue, and something changed. The service is so bad and we have attempted it 3 different times with lengthy intervals to see if they improve. First time we waited for an unusually long time for our breakfast and when they brought my husbands and said they for got to cook mine it would be a few minutes...we left. I cannot remember the particulars on the other times but the issue seems to be the he a newer breed, and not the older ladies that seemed to take ride in their job. I see a lot of "not my table attitude" going on. Sadly the Old South will die and be a faint memory in the end. 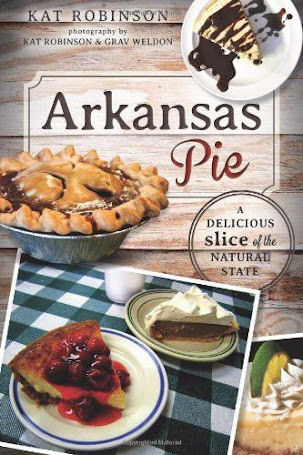 My dear friend Norris Church (Barbara Church from Atkins) from New York wrote about the Old South in two of her books. 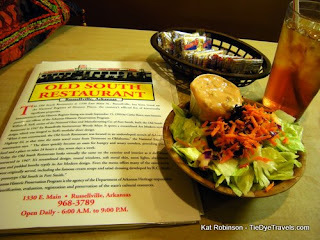 My Goodness - why hasn't anyone mentioned the Old South Salad and Salad Dressing. Worth traveling cross country for. I may be biased as I actually worked there in the 70's, but had it not so long ago and still the very same and still soooo good. I love this diner! I am 14 years old, and I have been going here since I can remember. 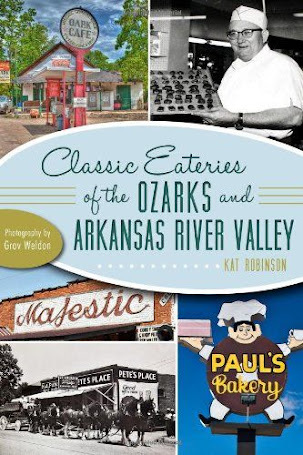 I am writing a historic essay about the restaurant, and it is 1,000 words long. It is worth the write! Williams Tavern: 181 Year Heritage Continues. 18 Amusing Images of Johnny Cash. 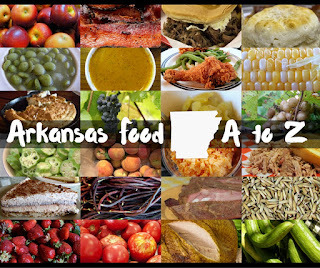 AQ Chicken House means Arkansas Quality.